Can you wear colored contacts over regular contacts? You would first put on your prescription lenses, and then you would put on the colored lenses. Like, do you wear blue contact lenses over your normal contacts? Is it okay to wear them at the same time or does that not work? I’d like to wear colored ones but I also have to wear prescription contacts and the ones that are colored are cheaper. Good question but it unfortunately doesn’t work that way. You can wear colored contact lenses and glasses at the same time, that’s fine. The colored contacts usually don’t do any visions correction. 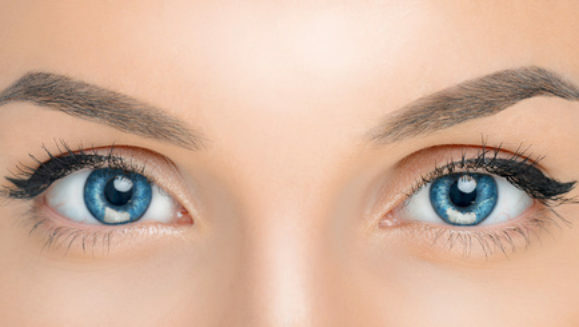 The way contacts work, however, is they’re the right size to fit over your eye and stay in place. 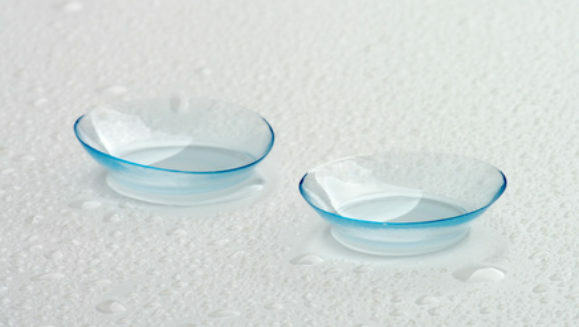 Adding another layer of contact lenses would be too thick and uncomfortable for your eyes. The top lens wouldn’t stick and it would not stay in place. It just wouldn’t work or work well. When you got your prescription at the eye doctor, they took measurements of your eyes and you have prescription contacts that fit your eyes perfectly. They’re meant just for you and they work for your eyes (your eyes don’t grow or get smaller as you age, by the way). 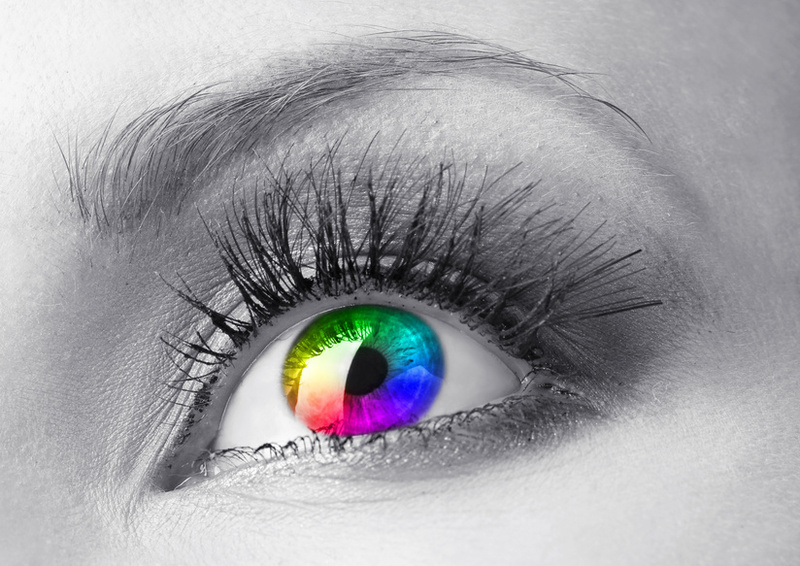 Even though they cost more, you’ll have to get prescription colored contact lenses if you want them to have color. It would be just one pair then. And it’s better that way because cheap colored contacts can be bad. They can be made with cheap ink that’s actually toxic. There are stories all the time of this happening to people – even to the point where some people go blind. Do not use cheap colored / special effect / Halloween contact lenses. It’s just not worth it. You only have one pair of eyes and they’re really sensitive. Get the good ones that cost more. One of 2 things will happen. Either the extra thickness will cause the top lens to keep “floating” off when you blink and not stay where it should be, or they will dry out in between and stick together, causing them both to tear when you try to separate them. Your eyes will also be getting zero oxygen through double lenses – not a smart idea. I was told you could wear two contacts by someone who was selling colored lenses at an anime con, the site is exoticlenses.com and they are anywhere from $40 to $80 a pair. You can wear them over soft, disposable lenses, the person who was selling them was wearing one over her contacts. And is that person still able to see? If it’s disposable lenses and soft lenses. Because there’s a lot of different opinions but most of them agree, NO. youre the first to say you can. so who knows know. I was able to do it. They were the flimsy demo ones and they deprecated very easy and did not move. IDK how it works long term but my eyes were fine. I took them out at night. I also wear 2 in each eye. Been doing it for many years. My prescription is not available in color lenses. So I wear prescription and on top colored ones. Been doing it for 5 years . I do take them out at night. Ones a year I go to the eye doctor and no problems at all. Leave some comments below and let us know what you think! can glasses wearers wear non prescription contacts? I have accidently worn two contact lenses in the same eye. I’m not even sure how I managed to do this it was early okay. But anyway I didn’t notice anything until about half way through the day when my eye wouldn’t focus properly on the computer screen (hadn’t been at the computer until this point) and I thought something was quite right. It did get drier and itchier thought the day after about 6hrs of wear. It was only when I was taking them out and I saw I still had the tell tale blue ring round my eye after having removed a contact lense that everything began to make sense ?. So in short yes you can do it. It’s probably not the best for your eyes though so wouldn’t be advisable. I just want to do it for Halloween, would that be okay? I would not risk it, no way. It’s your eyes… if you wreck them, they don’t grow back all better. You suffer the rest of your life.